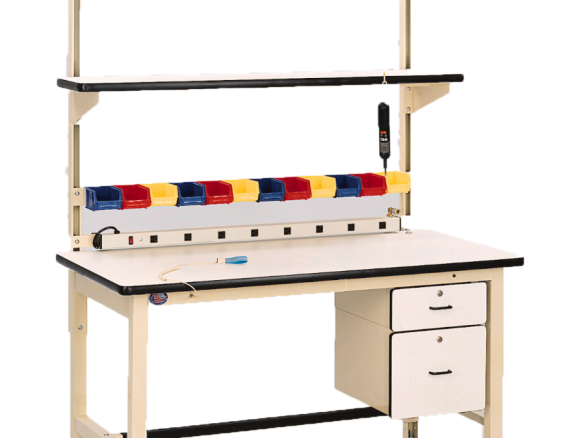 The HD Modular is the single most cost-effective lab workbench you can buy. The display photo features a custom configuration. 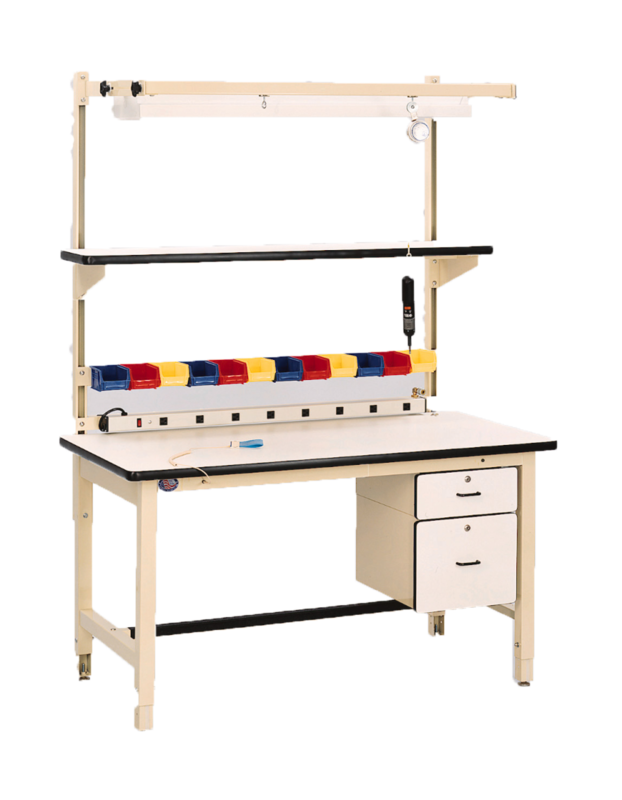 Build your own heavy duty modular workbench, starting with a frame available in light blue, light gray or light beige. Pictured below is light beige with a white work surface and black “T” molded edges. For more information regarding our heavy duty workbench line of accessories and customization contact one of our experienced sales members.